How do you decompress? Do you ever relax? What’s your favorite mode of down time? I will admit I’m not usually much good at sitting around doing nothing. Except at the ocean. 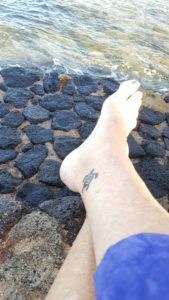 I was fortunate to spend nearly a month in Hawaii recently, which is my mother’s birthplace. 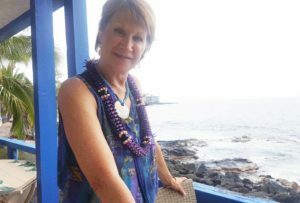 She was born on Maui, had relatives on the Big Island and Oahu, and taught on Lanai. 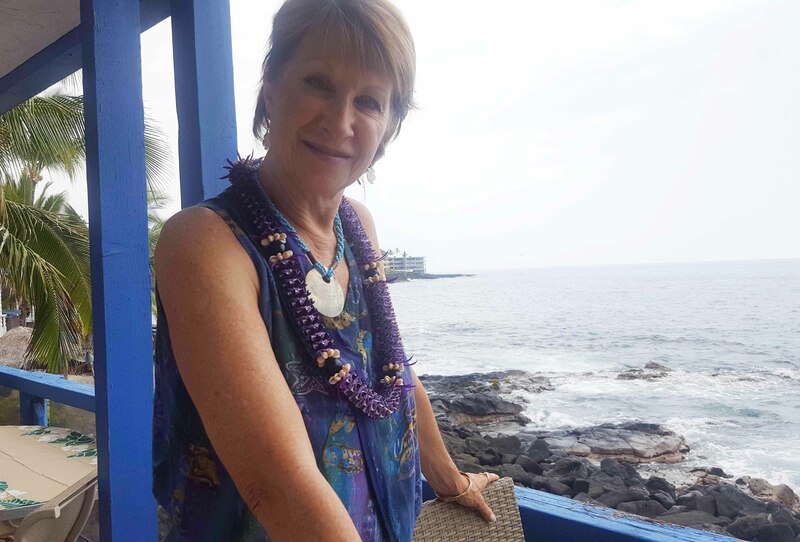 The Hawaiian islands have always held a special place in my heart, after traveling there with my mom and grandfather, when my late husband and I honeymooned there, and we visited nearly all the islands during our marriage. 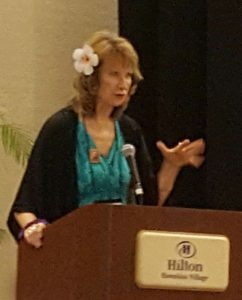 So when I h ad the opportunity to attend Left Coast Crime “Honolulu Havoc,” an annual writers and readers conference, as a speaker and a panel moderator, I jumped at the chance. Then, because I had signed up for an art cruise around the islands three weeks later, I figured there was no point coming home and going back again, so I decided to stay in between. 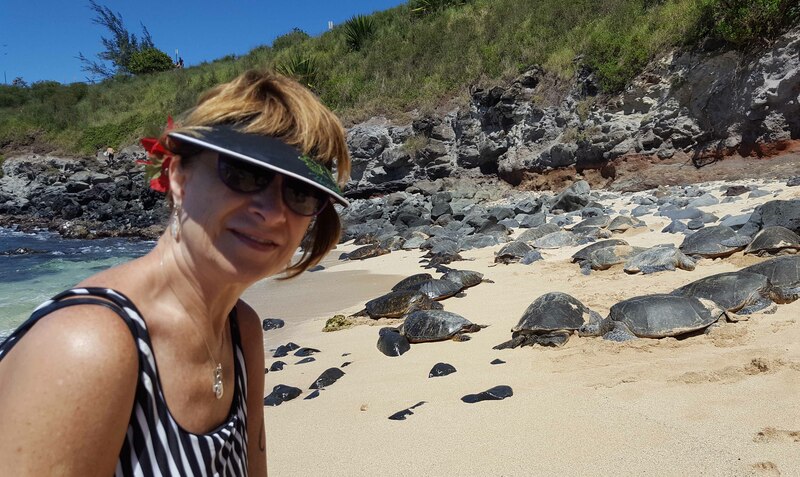 So after a successful conference, making new contacts and selling books, I flew to Kauai, our favorite island. 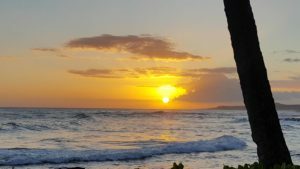 I spent a glorious nine days there – okay, I jumped back to Oahu for the birthday party of a friend’s 1-year-old nephew for two days – and just decompressed. Actually, I had hoped to get Book #3 started on the beach, thinking it would be a conducive place to write. Kauai Community College Auditorium, a wonderful facility with great acoustics and a faithful and appreciative audience. 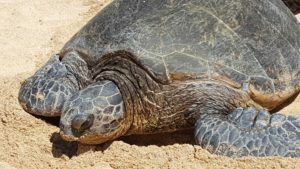 In Hawaii, sea turtles are everywhere, not only in the ocean, but in art, clothing, decals and much more. 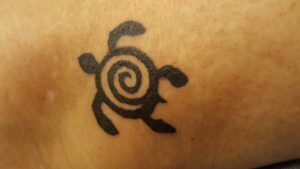 My honu has a spiral on its back, which is a symbol that to which I’ve always been drawn. I did get the majority of a basic outline for “Bleeder” accomplished while in Hawaii, though it has more work to go. 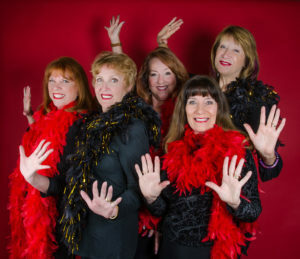 On my return home, I had hoped to get back to my writing schedule, but a little stage production called “Boa Babes” that I wrote in collaboration with four dear girlfriends is currently in production and will be mounted at Mesa Encore Black Box Theatre May 18-21. So that’s taken up a lot of extra time, and while I’m still writing in the mornings, it’s been news releases, fliers, online calendars and handling other producer type duties for the show. It’s going to be a fun show, and I hope you will try to work it in. I’ll be heading up to Prescott with my kitties for much of June, so will hit the book hard then. Until then, leave a comment below and let me know the way you decompress!